Airline Captain with 15 years of international experience, flying in 5 continents with several type ratings and is certified for JAA (EASA) and FAA ATPL licenses. FAA flight instructor, including instrument (CFII) and multi engine instructor (MEI),as well as advanced ground instructor. EASA line captain with supervision endorsements on LR-35 and LR-55. 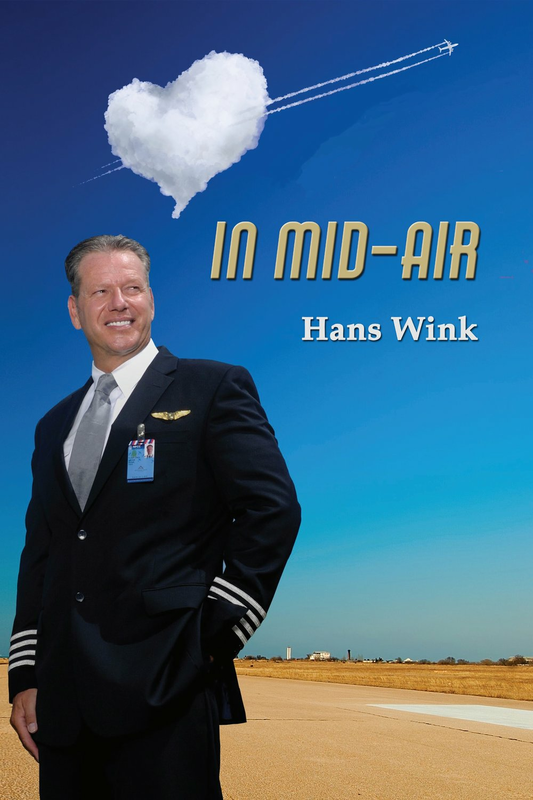 "I wrote this song for my alienated children"
"In Mid-Air, the story behind the book"
Captain Hans Wink holds airline certifications for Europe and the US. In addition to the military operations under UN mandate he has flown both VIP and medical emergency response teams on a worldwide scale. The cultural and social differences he encountered and the pain and suffering he observed has helped to form his personality, his philosophy and his approach toward living. He chose autobiographical narrative nonfiction to combine the dramas of his personal life with his experience traveling the world. Join Hans in his cockpit as he soars above the clouds! El Capitán Hans Wink tiene certificaciones de aviación para Europa y los EE.UU. Además de las operaciones militares comandadas por la ONU, él ha volado tanto equipos VIP como equipos de respuesta médica de emergencia a escala mundial. Las diferencias culturales y sociales que encontró y el dolor y el sufrimiento que observó le ayudaron a formar su personalidad, su filosofía y su enfoque hacia la vida. Él eligió la narrativa autobiográfica de no ficción para combinar los dramas de su vida personal con su experiencia de viajes por el mundo. ¡Acompaña a Hans en su cabina mientras se eleva sobre las nubes! Dieses Buch erzählt die unglaubliche Lebes- und Liebesgeschichte eines ehemaligen DDR-Flüchtlings, der sich vom ungelernten Hilfsschlosser zum Flugkaptän hocharbeitete. Sein bewegtes Leben ist ein Parforceritt durch die jüngste Verganggenheir mit sowohl sagenhaften Höhepunkten als auch rasaten Abstürzen, die den Leser/die Leserin unweigerlich fesseln. Der Autor gibt unverstelleten Einblick in die Geschichte der Lieve seines Lebes und deren Verlust, an dem er fast zerebrach und den er nur mit Hilfe des Fliegens buchstäblich überleben konnte. Es sind mitreißende, ungeschminkte Gefühle, die diese sehr private Schilderung eines Lebensweges - mit schockierender Wahrheitsliebe erzählt - zu einer spannended Biographie machen.